When it comes to your adored animal companion's final hours, you will want someone to be there fast to help them. A member of Cloud9Vets' animal-loving team can be with you very quickly indeed. Providing pet euthanasia at home has always been our preferred choice. Instead of cold steel tables and the sounds of other suffering animals, your pet will be as comfortable as you can make them. Perhaps with a food treat to distract them, wrapped in their bed or favourite blanket, or in a favourite spot in your front room or back garden. It is important to remember that all of the dog euthanasia and cat euthanasia we provide is entirely painless. Your pet will always be carefully sedated first so that they are asleep and feel no further discomfort whatsoever. The entire visit should take no more than an hour. You are entirely free to be present and offer your pet emotional support by soothing them and stroking their paw or not. You can also choose to have any other family members or friends present if they wish to be. Many people find they cannot face saying goodbye, while others find they cannot bear to be anywhere else. Rest assured that when they arrive, your caring home visit vets will be ready to provide any care your pet might need. They can also conduct a full pet quality of life consultation should this be necessary - anything to give you complete peace of mind that what you are doing is the right thing for your companion. Putting a dog down or putting a cat to sleep should always be the final step after all other options have been exhausted. But we find in many cases, especially for animals in extreme age or who have been diagnosed as suffering from terminal conditions, deciding not to take action would simply be letting them suffer. Putting a dog to sleep or letting a treasured feline friend pass on in a warm and loving environment is the way to set them free from their pain. 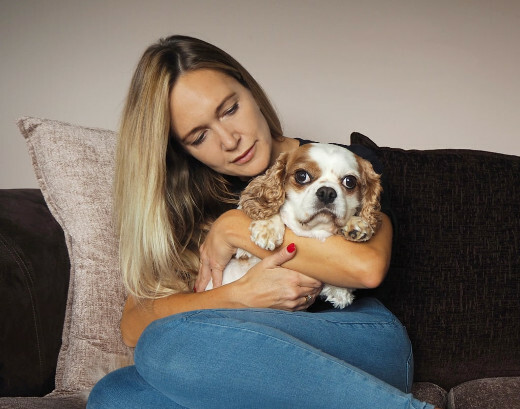 If you need to know more about pet euthanasia at home - and we find that almost every animal lover we help does - you can talk with one of our support advisors now We are here to help you whenever you need us to be. When your animal family member is suffering, a full pet quality of life consultation should be your first port of call. If this consultation can take place in your pet's usual environment, so much the better. The consultation on pet pain relief we provide happens in your own home. Our experienced and caring home visit vets have found through long experience that this is better for all concerned - especially your beloved animal companion. We can also provide pain relief for dogs and cats who have already received a terminal diagnosis. Though we will always prefer to have one of our knowledgeable and trusted home visit vets confirm it before we prescribe anything. The pain relief for cats and dogs we provide is some of the most effective of its kind. If you have any questions about it or about getting the help and care your animal companion needs, do please get in touch with us and ask about the most suitable pet pain relief at your earliest convenience. After you have gone through the deep, heartbreaking loss of saying goodbye to your animal companion, worrying about what happens next does not need to be something you have to do. We can assist you in the careful transportation of your sadly departed - whether you have called us in to help them in their final hours or not - and then conduct a respectful pet cremation ceremony at our local pet-sized chapel. 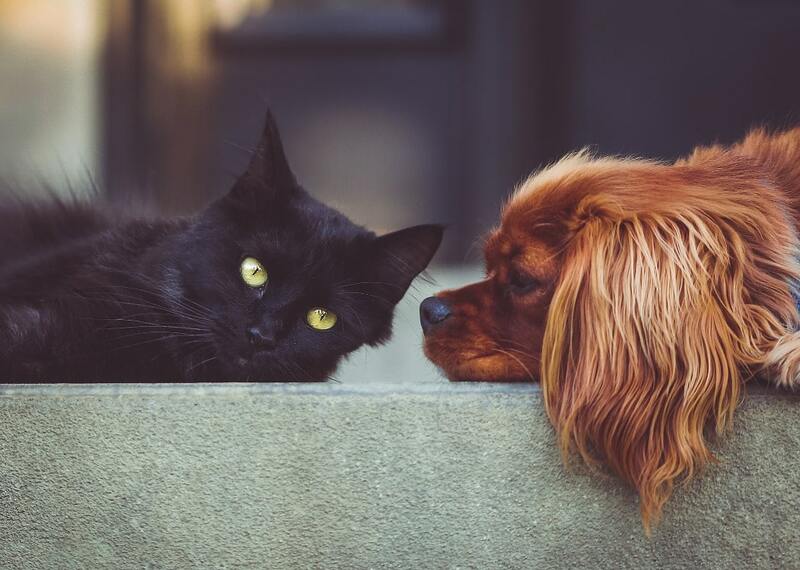 You can choose dog cremation and cat cremation which happens either privately or communally. A communal service is often the choice when you have an eye on your budget or when you prefer your companion to have a little company on their final journey. After a private ceremony, you will be able to request that their ashes be returned to you. For any and all queries about having your pet cremation take place at our fully accredited pet chapel of rest, please do contact us. You will always have the loving memories which you and your pet built together to hold onto. But if you are searching for physical pet memorials - something in which to safeguard their ashes or perhaps pet memorial marker stones for a favorite spot or their final resting place - we will almost certainly be able to help you. Because almost every member of the Cloud9Vets team has been through the trauma of losing a beloved animal member of their family before, we know the sorts of things we wanted to be able to find them without difficulty. Here you will find most of the best examples collected. If you need something more, get in touch and let us know how we can assist you. Cloud 9 Vet Services are Currently Not Available in Coventry - Please email us and we'll notify you when we open.